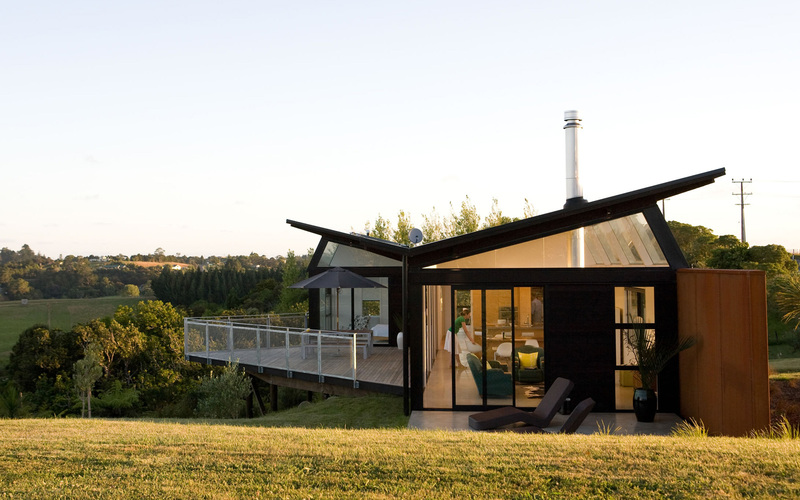 The brief was for a house following sustainable design principles, and reflecting rural, shed-like forms that would sit comfortably on a bush-clad site. 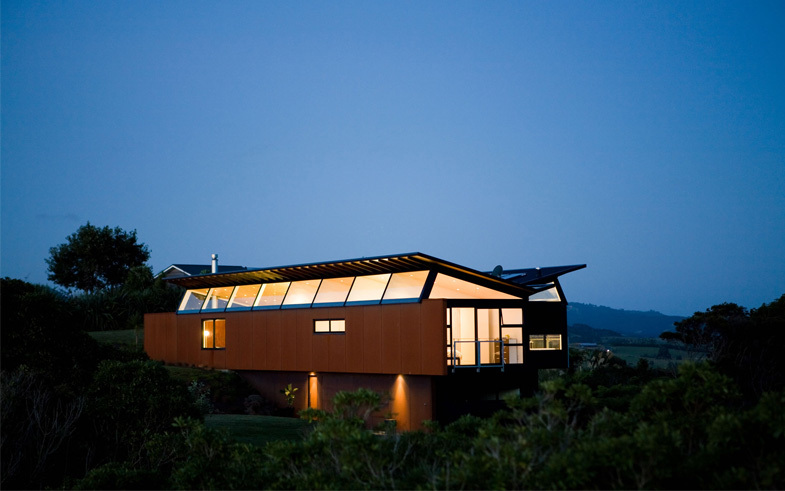 The building sits long and low across a ridge, at once anchored to the site and floating above the extensive nature bush. 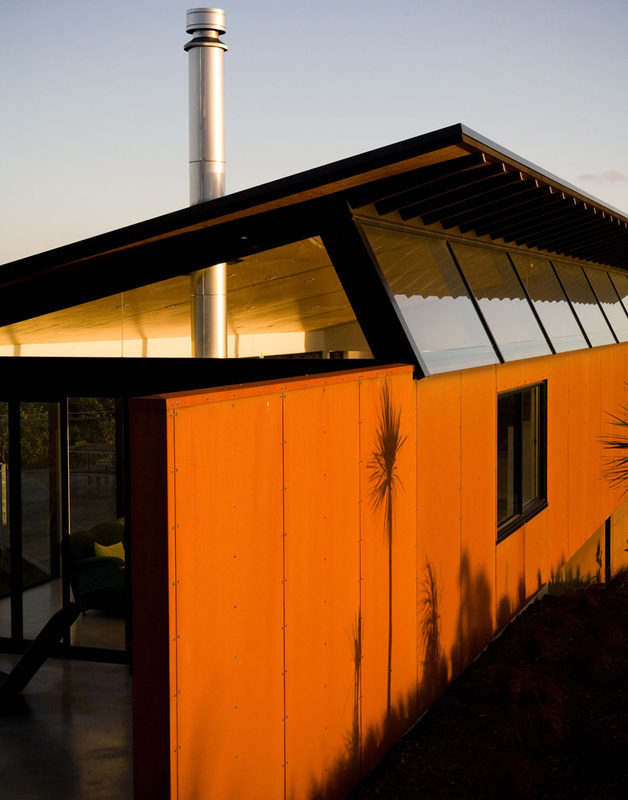 A materials palette of rustic steel cladding, Corten steel, timber and glass has been used. The built form reinterprets the traditional shed by inverting the roof, allowing afternoon sun to be drawn into the interior below the eaves. 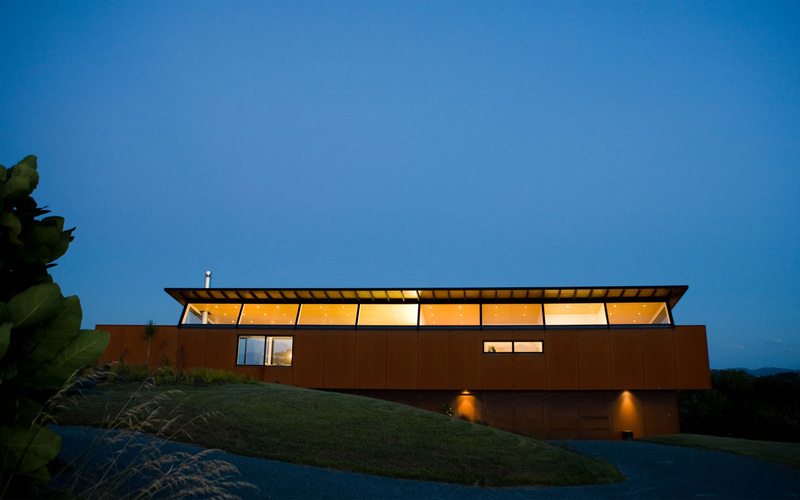 The timber framed roof form is plywood lined and appears to float above the Corten steel back wall. A busy roadway runs along the western boundary of the site: the house presents a solid back to it. The Corten rusted metal cladding to this back wall, along with a Corten fireplace unit to the living zone, serves to anchor the building site. Entry to the house is at the lower level into a foyer, where the polished concrete floor lifts slightly to continue into the stair, transitioning into timber along a screen of timber battens extending upwards to the first floor landing, where the occupant is presented with a first glimpse of the view. Beyond the landing, the open plan living zone opens to the north and west with decks on both sides. The plywood ceiling floats above and the timber decks push outwards. 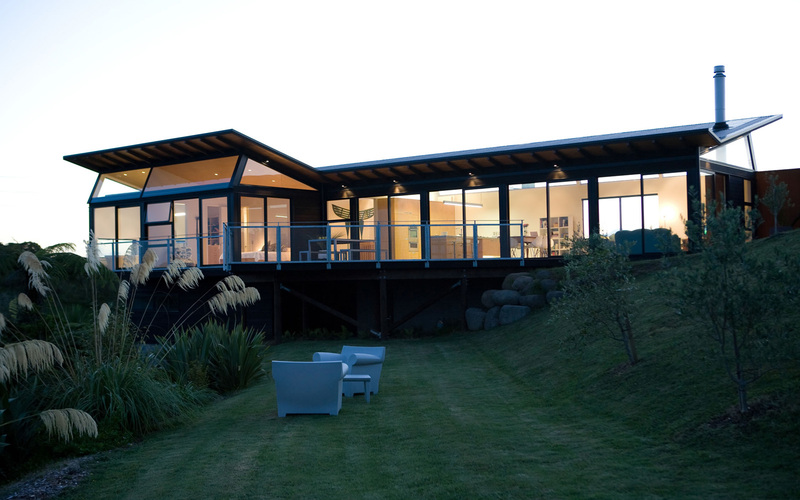 Black joinery reflects the shadowing of the bush beyond and connects the house visually to the site. 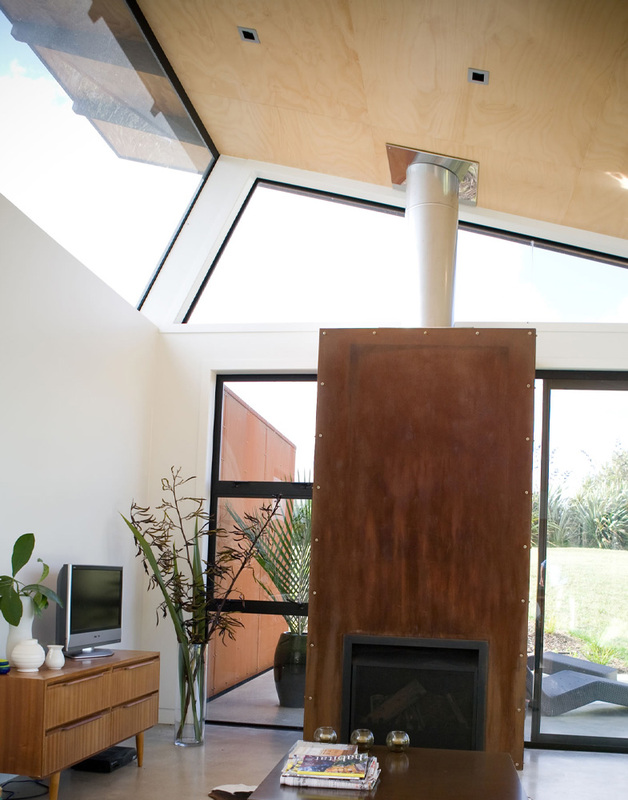 The main bedroom is pushed forward from the landing to hover over the site, while projecting into the bush. 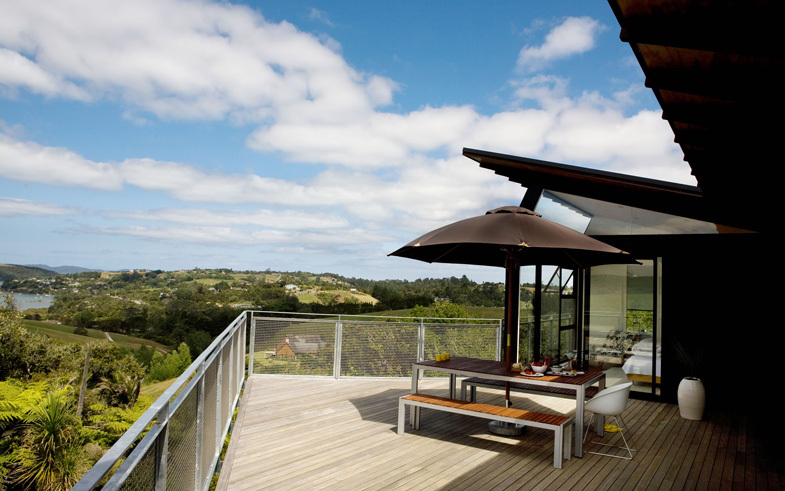 The bedroom and ensuite spaces both commanding spectacular views and morning sun. 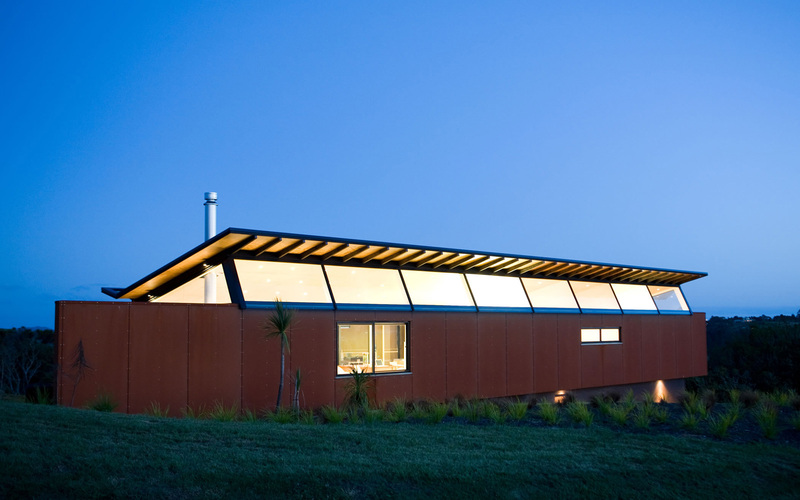 Steel mesh screens modulate the view and provide a reference to its rural surrounds.